American River Striping - Experience. Excellence. Satisfaction.American River Striping | Experience. Excellence. Satisfaction. Your parking lot is the gateway through which all customers, visitors, and employees pass. This first impression is very important to the overall feeling and atmosphere conveyed to your publics. Avoid costly lawsuits by upgrading or updating your current facility! We will make all required modifications in order to make your building or structure compliant with the Americans with Disabilities Act and/or California Title 24 requirements. Parking lot maintenance is our specialty. 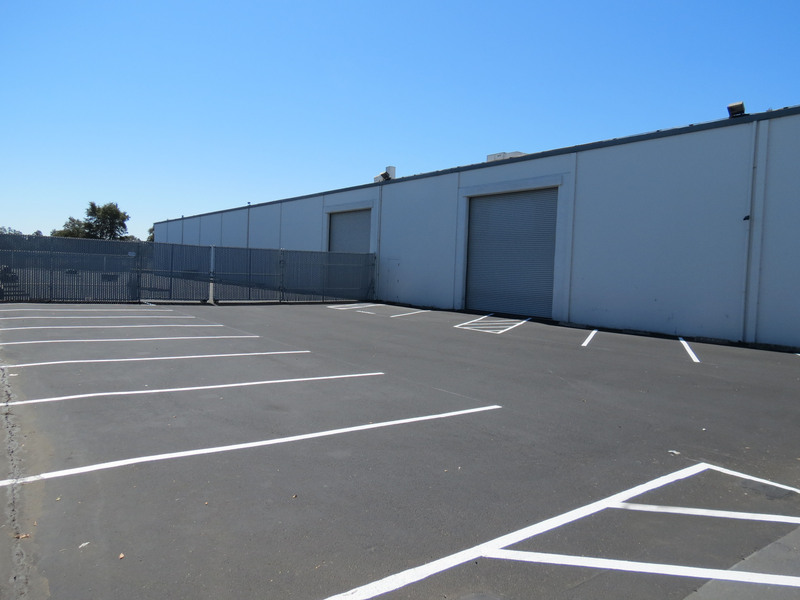 We are focused on one thing, how to keep your parking lot in the best possible condition while saving you significant money. 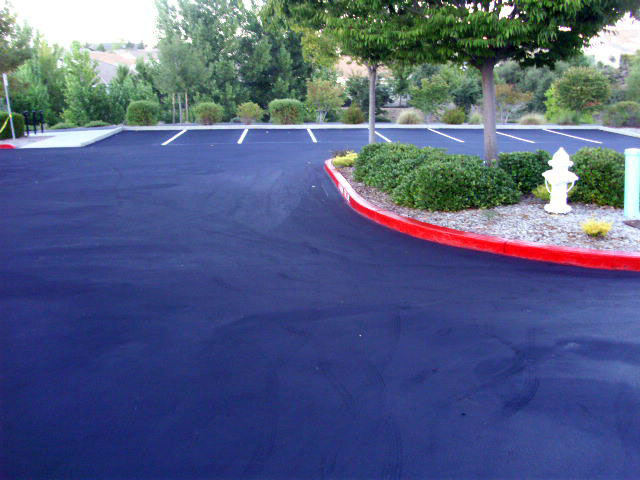 Asphalt crack repairs are cost effective, improve the parking area’s appearance while also extending its lifespan. We can repair all types of pavement defects, keeping water out of your pavement structure and extending the life of your pavement. 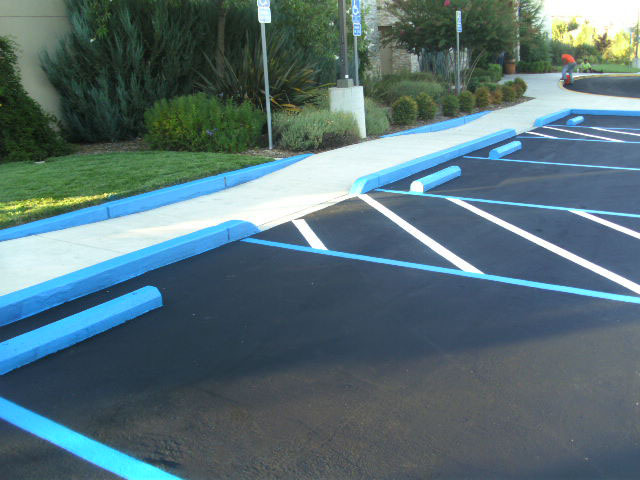 We have the experience and knowledge to develop an effective and safe parking lot signage program for your business. We have extensive experience in all aspects of warehouse & parking facilities striping, paving and maintenance. If you are looking for a company to stripe a new or existing playground, basketball court, or tennis area, it’s important to choose one with experience.